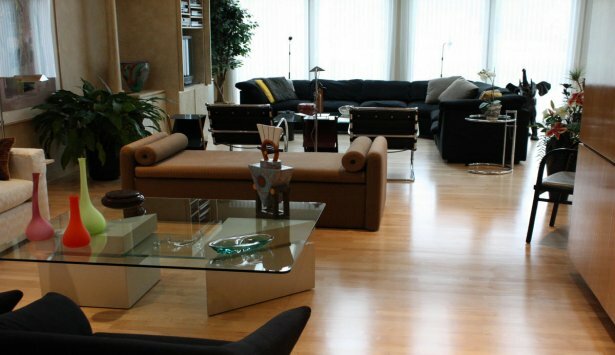 BNZ Flooring Company specializes in professional refinishing all types of wood floors (hardwood, parquet or engineered). Refinishing your hardwood floors with BNZ Flooring Company is an excellent option to improve your space and to increase the value of your property. Whether your floors have been worn by general wear and tear over time, scratched or need an update, BNZ Crew can expertly transform your space. In addition, BNZ Crew can change your floor stain color and finish sheen. One of the main reason to sand your floor, whether new or existing, is to give beauty to a renewable resource. A typical nail-down, ¾-inch, tongue-and-groove wood floor can be re-sanded several times by a professional flooring contractor. Unexperienced floor contractors have a tendency to sand too much off the floor. It decreases the overall life and leaves little or no wood for the next sanding. You can rely on BNZ Flooring Company since our trained and skilled crew is aware of huge responsibility. With BNZ your investment is protected, capable crew makes your floor last as long as possible. Refinishing wood floors is a multi-step process that varies depending on the wood species, stain color and finish coat desired. BNZ Crew follows standards and recommendations from National Wood Flooring Association (NWFA) in order to ensure the best service is given to all clients. BNZ Crew inspects the wood floor for moisture damage, like cracks or cupping. This is one of the most important steps. If nothing found, the floor is sanded few times with rough paper. It constantly cleans the floor. BNZ Crew removes as little surface as necessary. Nails holes and gaps are filled, if needed. The floor is sanded again with fine sand paper. BNZ Crew makes sure that all spots and damages have been removed. If damage is still visible, BNZ Crew can repair it. After proper inspection, BNZ Crew will finish corners, radiators and thresholds. Finally, BNZ Crew cleans the floor with vacuum and tack cloth. Next step is staining and finishing. What’s more, BNZ Crew is trained to lessen the disruptions commonly associated with refinishing. BNZ Flooring Company is equipped with state of the art machines from Lagler, Galaxy, Clark, and Bona. BNZ equipment is the most advanced dustless belt sanders available on the market today. Skilled crew and top-of-the-line equipment ensure the result is an excellent smooth finish and dustless environment. Since 2005, BNZ Flooring Company offers the Dust Containment System, a powerful vacuum system. Dust Free System allows collecting up to 99% of dust! Heads up! Please call us at 630-638-3888 for free estimate. Our Knowledge, Experience, Skills, and Professional Equipment result in satisfied customers and state of the art floor! DCS-Dust Containment System available now!!! Breath easier with this great 400 CFM and 600 CFM vacuum system.